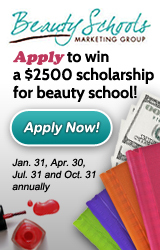 Find a Beauty school near you! Welcome to Your Guide for Beauty and Cosmetology Schools! You want to finally get started on that beauty career you’ve always dreamed about, but you don’t know where to begin. That’s exactly why we created BeautySchool.com. We want to provide the ultimate resource center for those looking to enter beauty schools. Whether you’re interested in a full cosmetology program or you want to specialize in skin care, nail technology, massage therapy, barbering, salon management and more, we have the information you need. Read through our articles section to discover more about the variety of beauty professions out there, what job outlooks are, what to expect out of your classes and your workplace, and how to choose the right cosmetology program for you. Then use our comprehensive search to compare hundreds of beauty schools, both in your local area and nationwide, and contact them without ever having to leave the site. Get started today, and discover a brand-new future with an career in beauty. Since cosmetology license requirements vary from state to state, we've put together a cosmetology licensing directory so you can easily check out your state's specific cosmetology requirements. There are different options for students who need financial assistance to attend beauty schools, who may not receive enough from federal funding, or who need extra cash to help pay for fees or supplies. Find out who won the Artisan Naturals skincare prize pack valued over $200. Is Your Beauty School Accredited? The pros and cons of attending accredited beauty schools versus non accredited beauty schools. If you are thinking about cosmetology school, take our free cosmetology quiz to find out if you're already a natural fit for cosmetology careers! Get information about cosmetology school cost and tuition, your options to pay for cosmetology school, and the availability of financial aid for cosmetology.